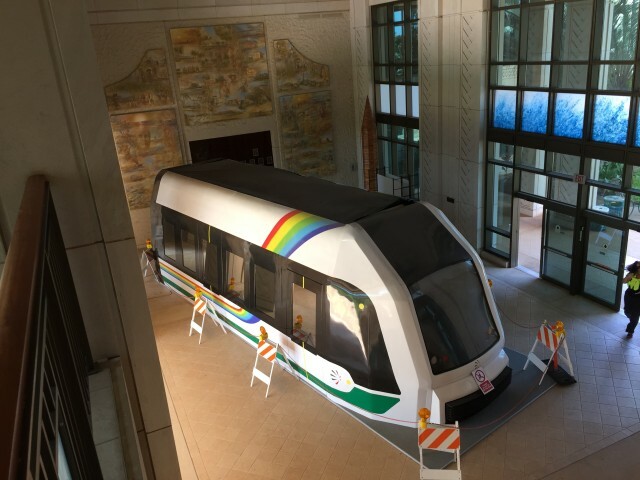 Honolulu Mayor Kirk Caldwell agrees with City Council Chairman Ernie Martin, a potential political rival, that the city needs to hold rail officials more accountable for their spending, especially as costs for the Honolulu Rail Transit Project escalate beyond $6.5 billion. Caldwell just wants a little more flexibility when doing it. On Tuesday, the mayor testified before the City Council Budget Committee on Bill 23. That measure would extend the half-cent general excise tax surcharge for rail for another five years — to 2027 — to help pay for cost overruns and lost revenue. The tax extension is expected to generate an additional $1.5 billion for the project, which officials say should cover current estimated shortfalls. But Martin wants to place a $910 million cap on the revenue that can go toward rail, as a means to get the Honolulu Authority for Rapid Transportation to work harder on cutting costs. Caldwell said he supports that proposal in principle; but he said that the city needs more leeway, because additional costs already are expected to exceed the proposed cap by hundreds of millions of dollars. He said the city must be able to pay contractors when bills come due so that it can meet its obligations under a $1.5 billion grant agreement with the Federal Transit Administration. Caldwell said Martin’s current proposal included “excellent” accountability measures, including provisions that would force HART to provide regular reports to the City Council on project finances. For instance, Martin’s bill would require HART to report how much subcontractors are being paid, a level of detail that currently isn’t provided. HART officials, including Executive Director and CEO Dan Grabauskas and Finance Committee Chairman Ivan Lui Kwan, were equally receptive to Martin’s proposal. But, like Caldwell, they expressed reservations about a hard cap on the GET revenues. They asked for whatever bill is approved to include a mechanism to free up more funds if necessary. The Budget Committee did not vote on the tax extension Tuesday, because it has scheduled two more special hearings for November. If the measure passes out of committee, it would head to the full council for two more approvals before Caldwell would have a chance to sign it. Budget committee members also did not make a decision on a second Martin proposal that would redirect any additional GET revenues not used for rail toward building more affordable housing. Meanwhile, the Tax Foundation of Hawaii filed a lawsuit in state court Tuesday that targets the 10 percent the state skims off the rail-surcharge collections for administrative fees. 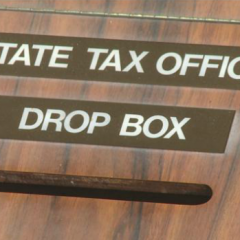 Since the surcharge was imposed in 2007, the state has collected more than $169 million in revenues. The Tax Foundation contends the fee is unconstitutional because it far exceeds the actual costs of collecting the tax on behalf of the county. In fact, the state has collected enough money through the administrative fee in some years to cover the expenses for its entire tax department. “We on Oahu pay an extra 0.5% surcharge on most of the things we buy, and think that the money is going to rail,” Tax Foundation of Hawaii President Tom Yamachika said in a statement. “In fact, over $160 million to date has been kept in the state general fund, and is spent on everything but rail.